Inspired by the musings of feminine sophistication, elegance and sensuality, the Victor Harper Collection weaves together glamour, refinement and drama in perfect silhouettes to mold and flatter the body. The collection offers bridal gowns in an assortment of exclusive fabrics that include Silk Satins, Mikado and Organza. Each style is embellished with beading and embroidery patterns that are hand drawn by the designer and crafted in an array of Austrian crystals, pearls and trims unique to the Victor Harper Collection. The styles are available in domestic and international bridal salons renowned for their superior service and polished reputation. 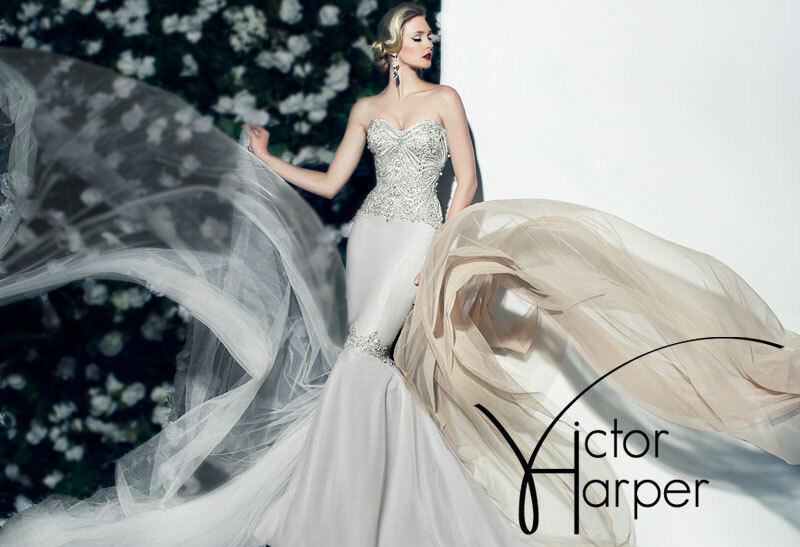 The Victor Harper Collection offers the perfect gown for the bride who possesses a distinguished taste for beauty, glamour and quality.